100 companies from 35 countries have applied for seven renewable energy projects in Saudi Arabia out of 12 that will be implemented this year with projected investments of about SR 5.7 billion ($ 1.5 billion) to generate 1.51 GW. Turki Al-Shehri, Head of the Renewable Energy Projects Development Office at the Ministry of Energy, Industry and Mineral Resources, said to AlEqtisadiah that of the 100 companies that have applied for projects, 57 are registered in Saudi Arabia to invest in these projects. Al-Shehri added that the process of qualifying the companies applying for these projects will be in a sequential manner, equivalent to almost every month. He said that it is possible to provide the required qualifications during the end of the month, and that the candidates are clarified a month or two later. The projects will generate about 1.51 GW of power for 226,500 households and provide more than 4,500 jobs during construction, operation and maintenance. The projects include Al-Qurayat's project of 200 MW, Madinah's project of 50 MW, Refha of 45 MW, Al-Faisaliah Project of 600 MW, Rabigh of 300 MW, Jeddah of 300 MW, and the Project of Mahd adh Dhahab of 20 MW. 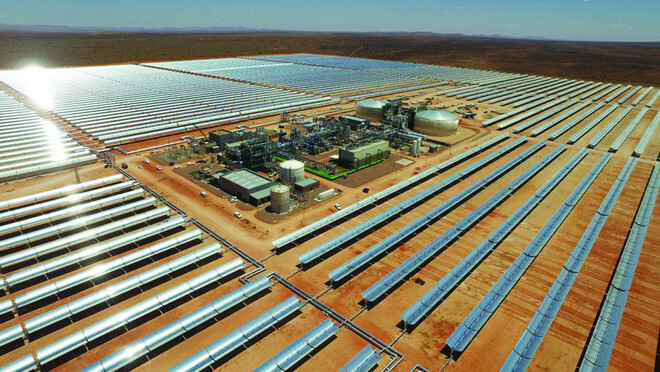 The Ministry of Energy, Industry and Mineral Resources Renewable Energy Development Office announced at the end of last month the start of applications to invest in seven solar photovoltaic projects, during the launch of the national industry development program and logistics. Saudi Arabia aims to be a leading renewable energy hub over the next 10 years with a generating capacity of over 200 gigawatts by extending across the whole value chain from local manufacturing to enterprise development locally and internationally. The 12 projects that Saudi Arabia is planning to launch this year are estimated at a total value of $ 3.5-4 billion. It will be fully funded by investors, as part of projects to be announced over the year.